If Naughty Quail Eggs, Rick Moranis, and Elton John tickle your fancy, then you’ve visited the right website today. Gary Schreiner, a well-rounded musician and Emmy-award winning composer and producer with an eclectic culinary collection, sat down with Pop Rewind to chat about Brisket, Food Arts, and more. 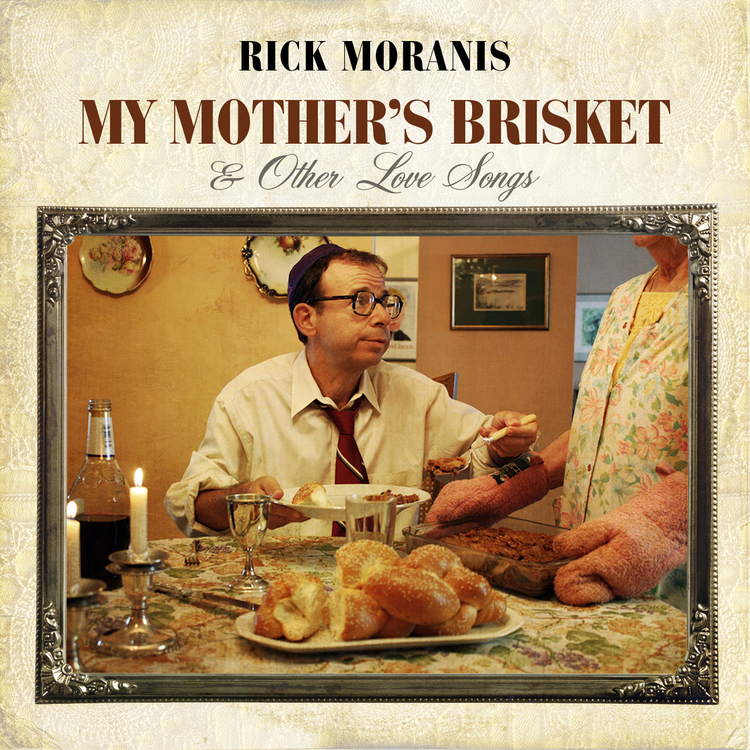 Schreiner came to my attention as the Producer/Arranger of Rick Moranis’ new album, My Mother’s Brisket & Other Love Songs. The pair hooked up after Moranis asked Michael Crehore and Chris Abell of Dubway Studios to recommend someone. The rhythm section and engineer from Rick Moranis’ My Mother’s Brisket & Other Love Songs. 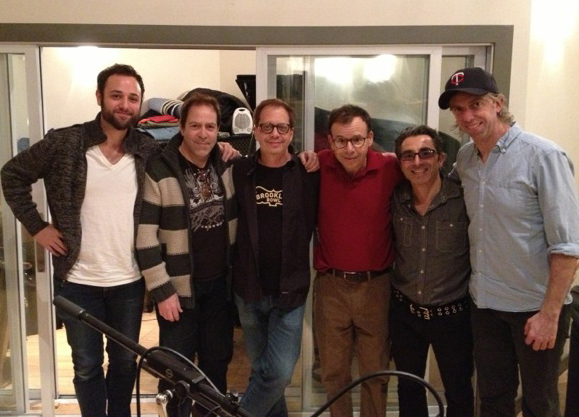 From left to right: Chris Abell (Engineer), Mike Visceglia (Bass), Gary Schreiner (Producer/Arranger/lots of instruments), Rick Moranis, Doug Yowell (Drums), and Thad DeBrock (Guitars). “Michael and Chris have seen me produce and arrange other artists in their studio (with Chris engineering), and they thought Rick and I would be a good fit,” said Schreiner, who also lent his musical talents to My Mother’s Brisket—piano, organ, chromatic harmonica, accordion, and more. “It was a great experience working with Rick from the start. He’s got great musical instincts, he’s a great writer and a mensch [a person of integrity and honor]. It was a joy for both of us to create this album,” said Schreiner. Schreiner is also the curator for the Museum of Food Arts (MoFa), which he founded in the mid 1990s. The museum is mostly for friends and visitors, but that doesn’t stop Schreiner from expanding it. Recent acquisitions include Naughty Quail Eggs and Mint Dried Seedless Prune (both from Taiwan) and a small can of Beanee Weenee from San Diego. “Due to unprecedented growth, I had to open a new wing. ‘The Chicken Wing’,” mused Schreiner. You may be wondering what this delectable Museum tastes like, but sadly, you’re out of luck. “We don’t eat the museum,” Schreiner explained. 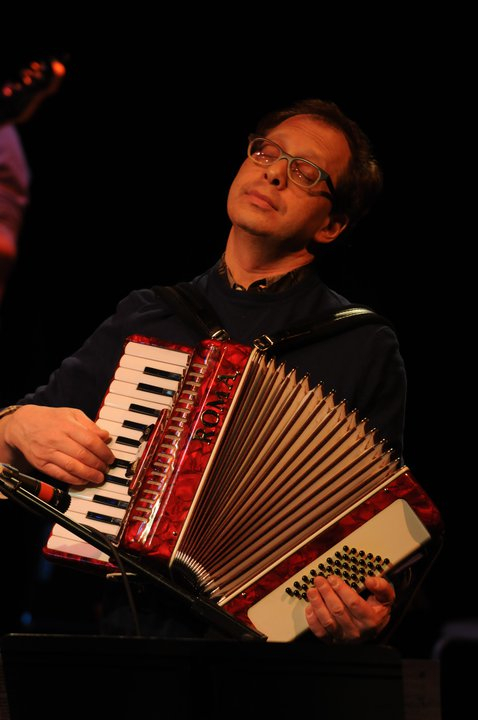 Schreiner also plays chromatic harmonica, accordion, and piano in The Nutopians, a band whose music features organic arrangements of John Lennon songs, many of them mash-ups, and he couldn’t be happier with the arrangement. “Best of all, we all enjoy playing together and touring together. You can feel the chemistry when we perform. Those are real smiles,” said Schreiner. Besides his work with The Nutopians and working with Rick Moranis, Schreiner recently co-wrote the music to American Star, an off-Broadway musical, which ran for three weeks at The Theatre for the New City. Schreiner was the musical director and co-composer, and also played onstage each night with a band. Schreiner was a featured guest soloist for Sir Elton John at last year’s Rainforest Benefit at Carnegie Hall. “I’ve always wanted to play Carnegie Hall, but never imagined I’d be invited by Sting to perform as his guest artist, or play in front of a full orchestra with Elton John and, later that evening, with Rosanne Cash,” he explained. But the most memorable moment of his music career, although he admits there are many, was spending two consecutive summers on the road in Europe some years ago, playing piano and organ with Joan Osborne and her band. “There were many recording sessions and gigs, where musical idols became peers. It’s always a great experience to meet them and make music together,” he added. Be sure to check out Gary Schreiner online on his official website to stay up to date! Thanks again to Gary for taking the time to talk to Pop Rewind! Hey there Pop rewind, great piece on the one and only Gary Schreiner. Here’s a link to part one of Gary’s tv pilot Jack and Gary’s Clubhouse! http://www.youtube.com/watch?v=8fKBDL7QH4M or just google Jack ‘n Gary’s Clubhouse!